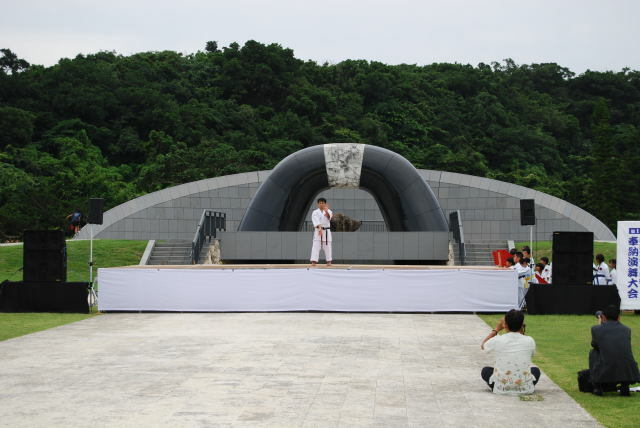 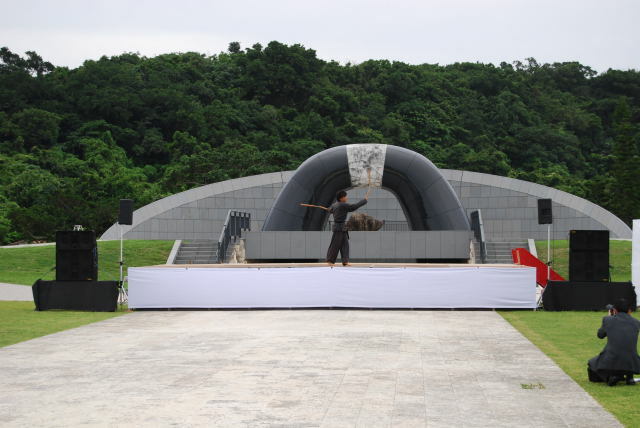 The 1st Peace Commemorating Demonstration was held June 15 in Itoman`s Peace Park. 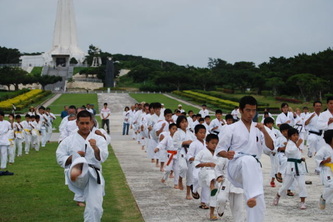 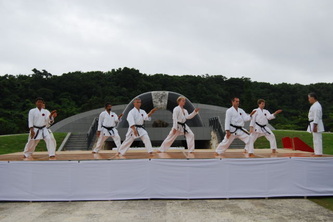 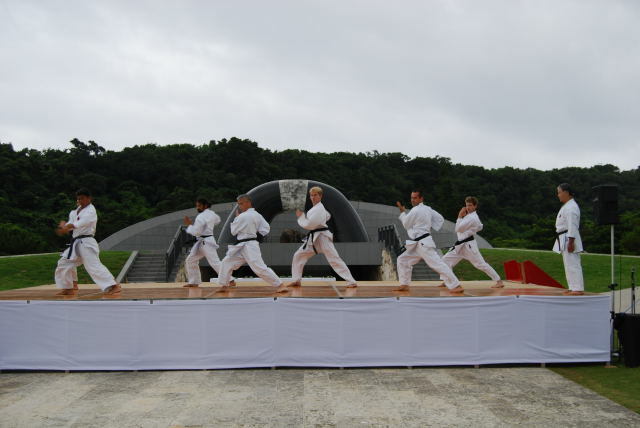 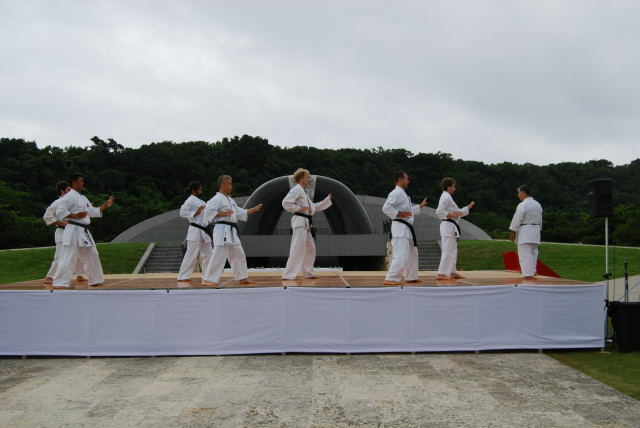 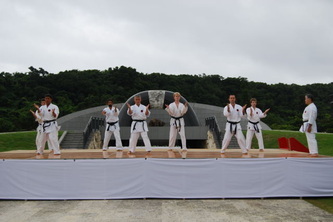 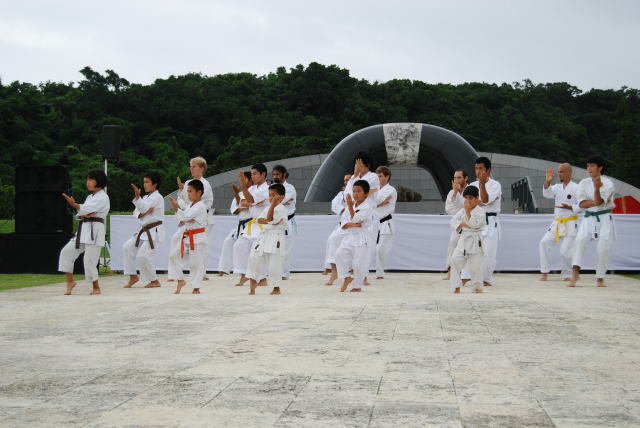 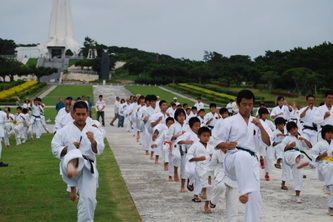 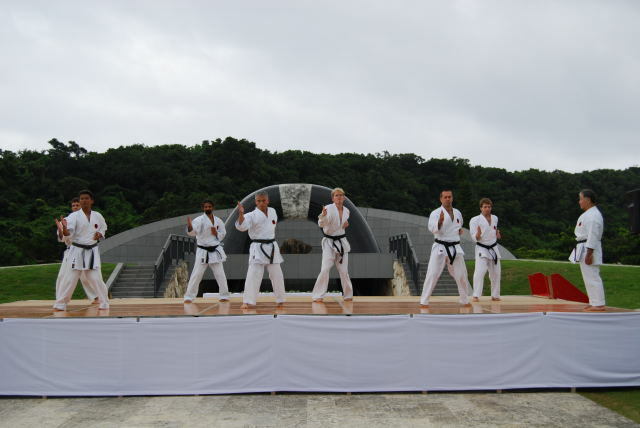 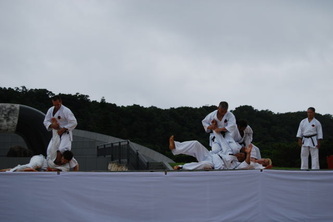 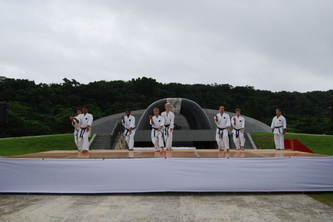 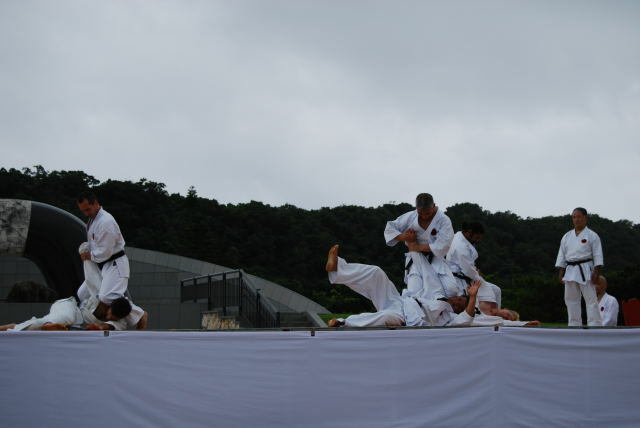 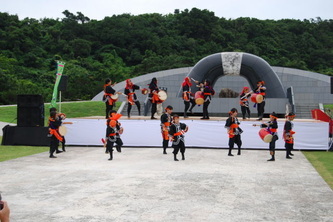 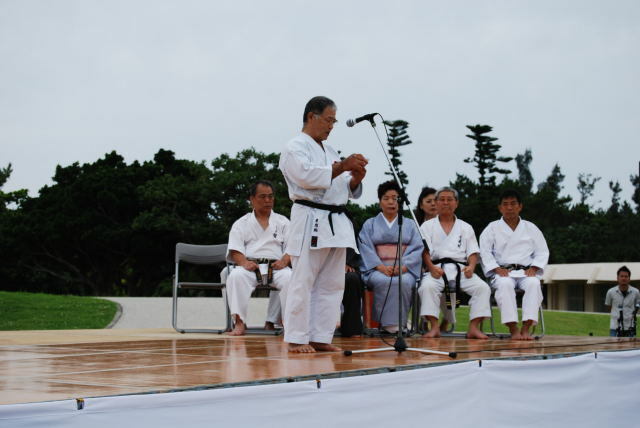 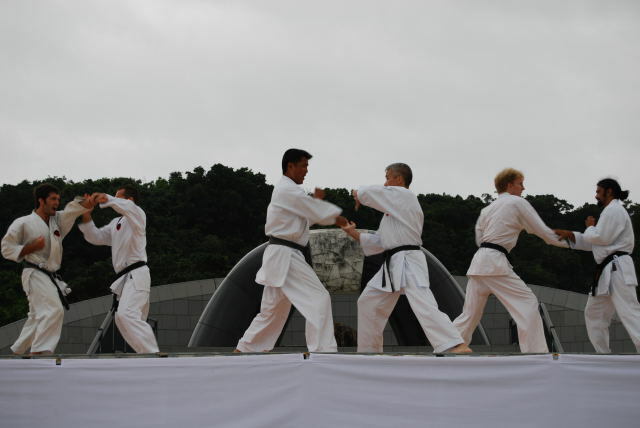 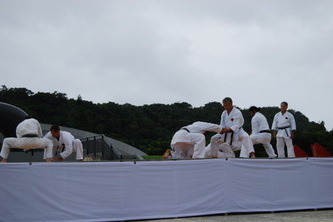 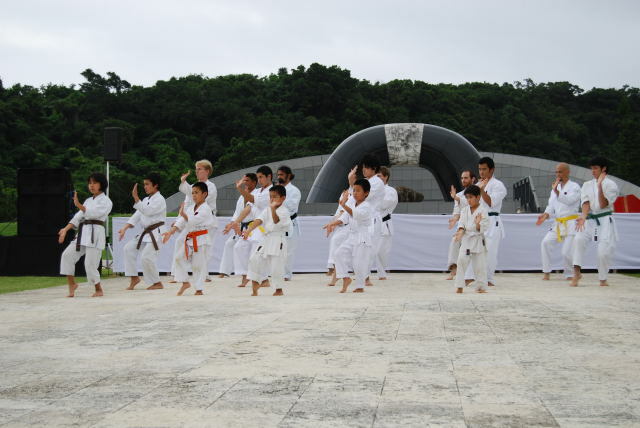 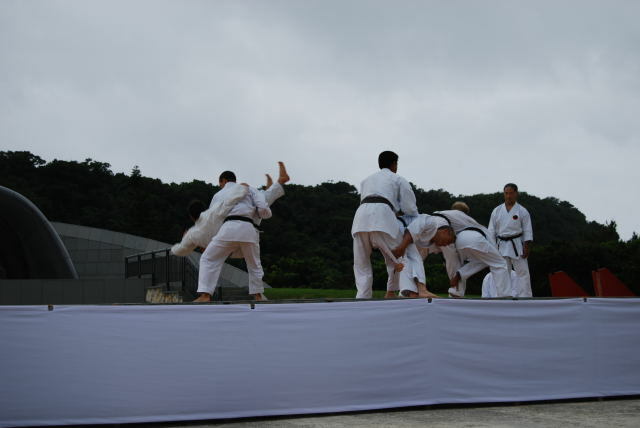 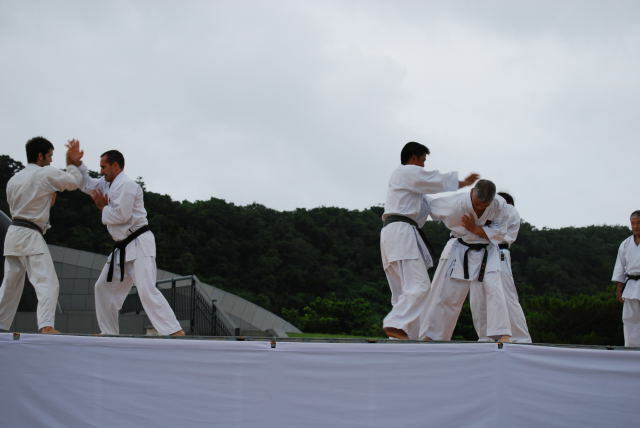 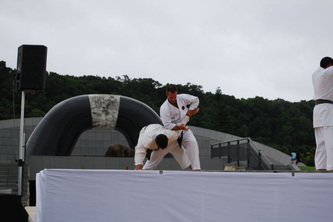 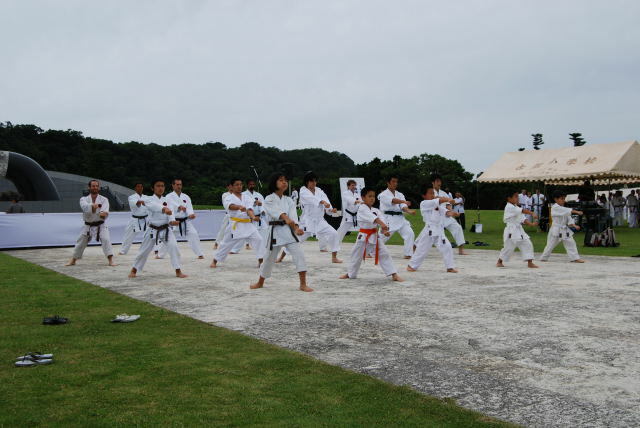 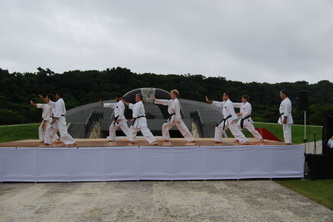 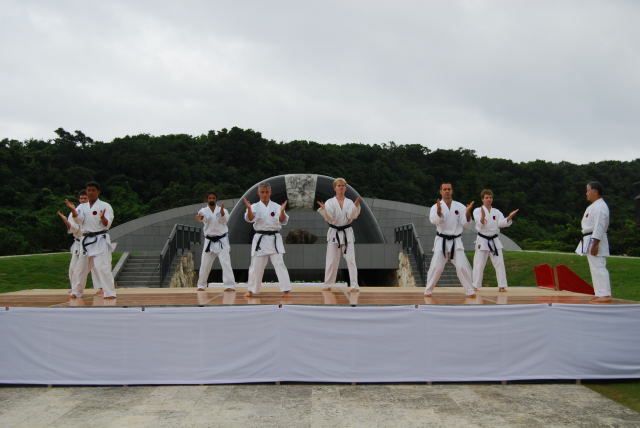 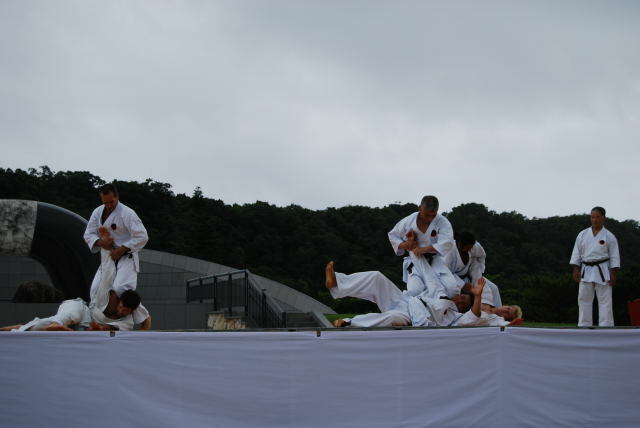 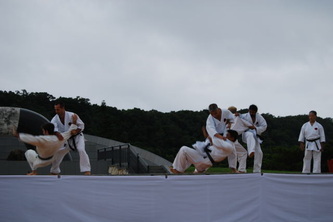 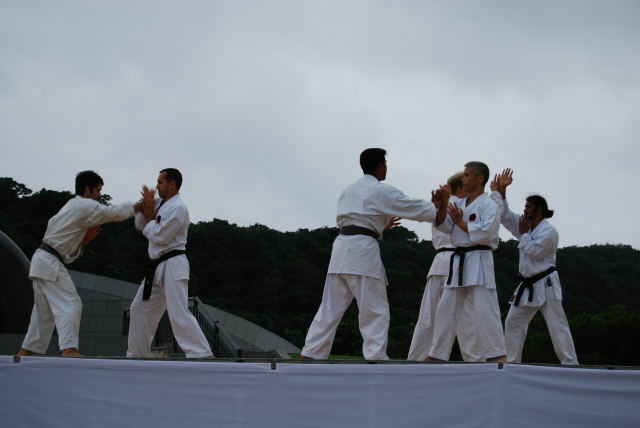 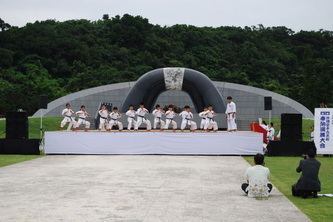 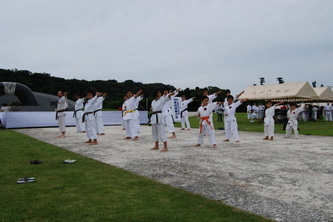 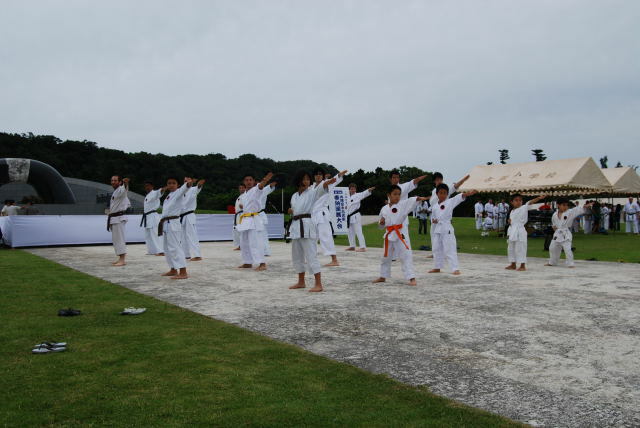 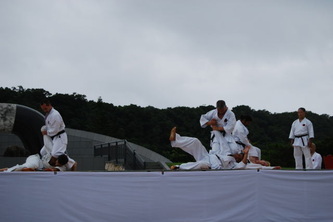 Chaired by Higaonna Morio sensei, 12 groups performed karate at this event, Japanese danse and eisa. Higaonna dojo performed all together gekisai dai-ichi, dai ni, then the black belts performed shisochin, his bunkai, and kakie with some applications. 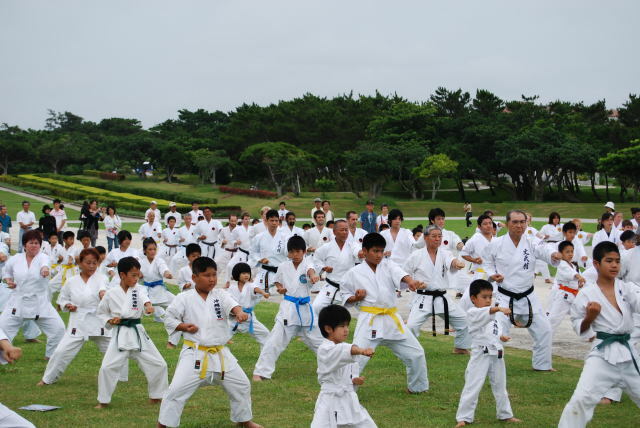 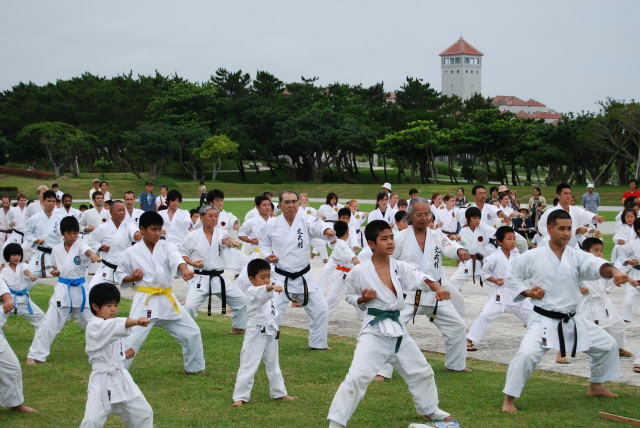 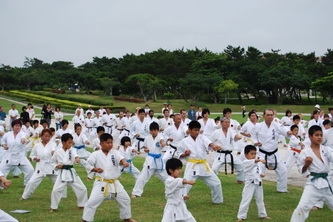 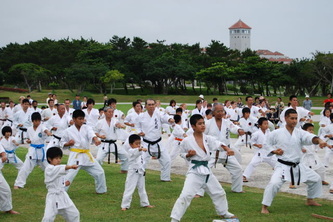 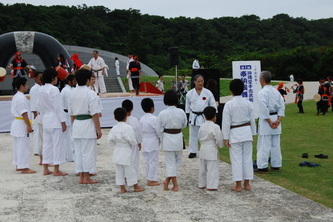 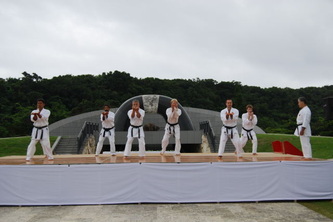 Yamashiro Dojo`s children performed saifa and seyunchin kata, and Yamashiro Sensei Suparinpei. 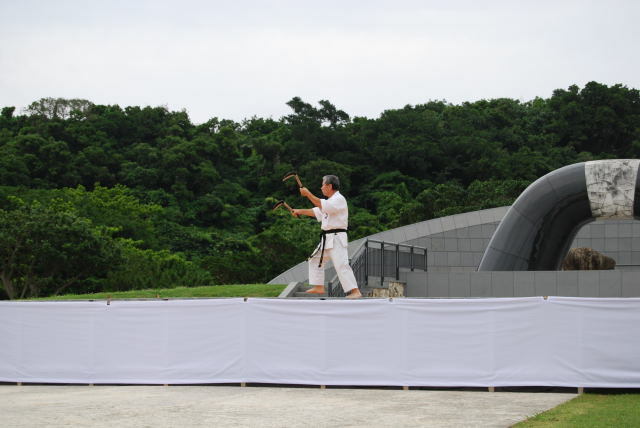 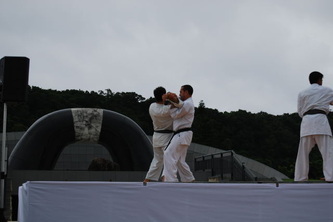 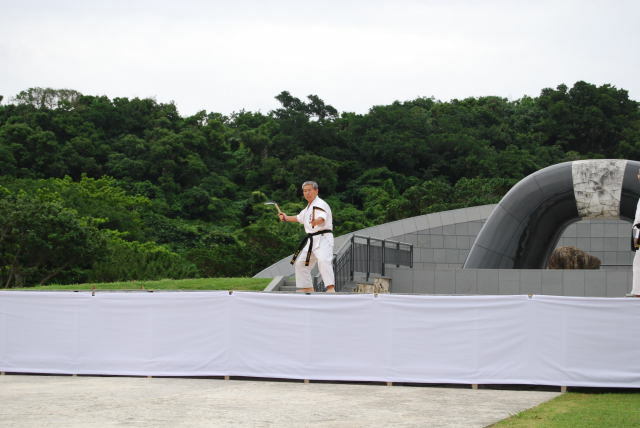 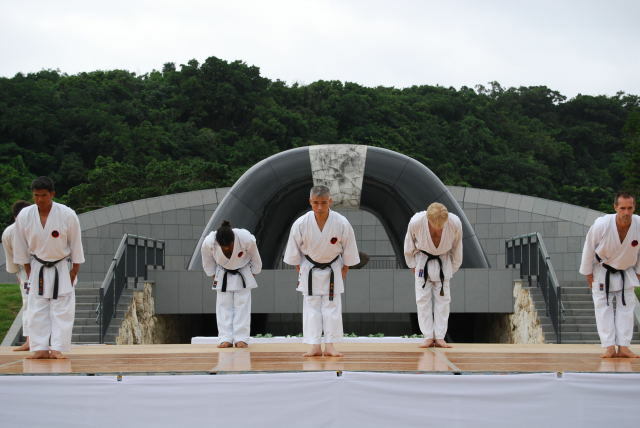 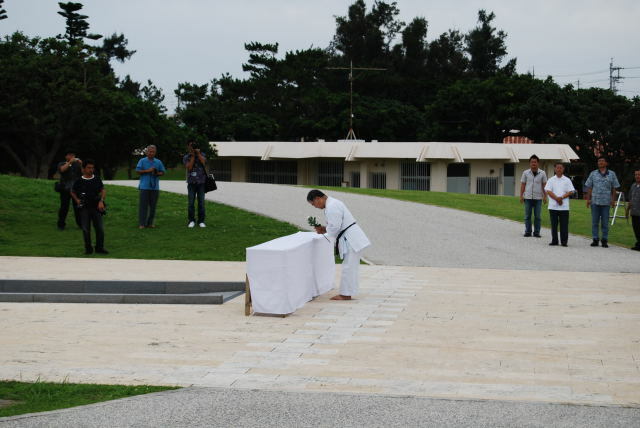 Before the start of the demonstration Higaonna Sensei spoke about the war, wishing that it will not happen again. 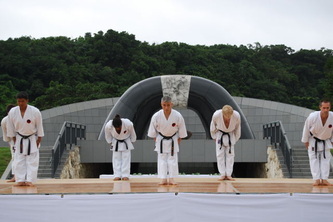 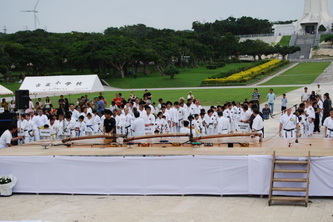 Many people took the time to see the event while visiting the park.